If I told you there’s a way to make your Friday even better, would you believe me? 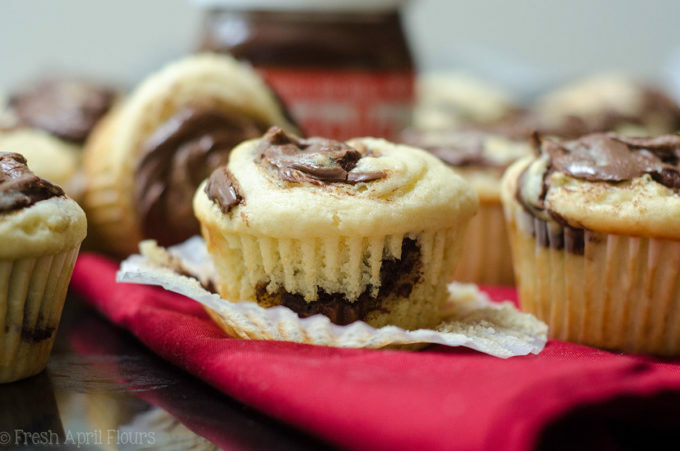 Because there is, and you should: Nutella swirls are in your near future. 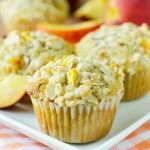 Welcome to September’s Muffin of The Month! We’re taking everyone’s favorite chocolatey, nutty spread and throwing it into what can be considered breakfast. That’s totally makes-Friday-better worthy, don’t you think? If you’ve been around here for awhile, you’ve swirled Nutella with me before. Nutella swirls = life. 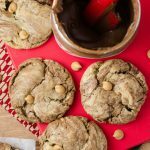 Those peanut butter chip cookies are unreal. MAKE THEM. They can be your snack with lunch and dinner on the same day you eat a Nutella swirl muffin for breakfast. Nutella all day long! 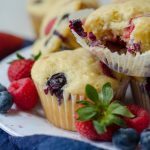 The base of these muffins is a basic buttermilk muffin recipe. Somewhat of a flavor, but nothing special, and the perfect vehicle for a little swirly chocolate hazelnut action. Matt said he wanted a glass of milk with his muffin, but I disagreed. I had mine with coffee and it was perfection. Just enough sweet to complement my slightly bitter cup of coffee. Now that’s a breakfast I can get used to. 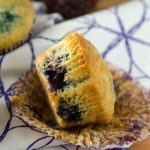 The base of these muffins is the same as the base for our very berry muffins, so it’s nothing you haven’t seen before, and, as always, nothing complicated or tricky. 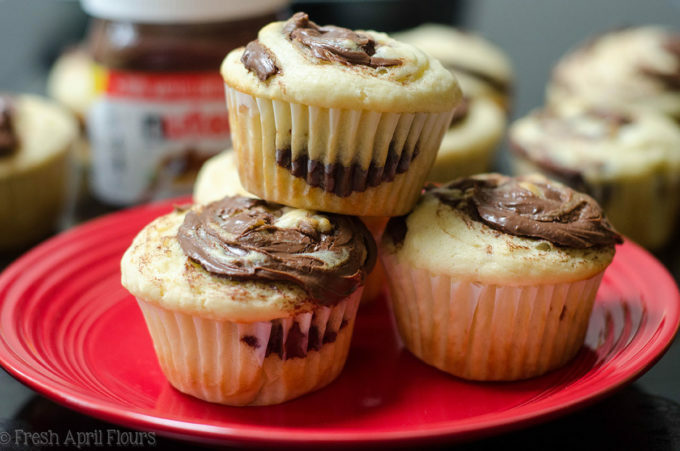 So let’s take some time to talk about the Nutella swirls. So many swirls! And getting them takes a little bit of time, but all in all, the work itself is not one bit difficult. It just takes a little more than plopping batter into your muffin pan and sticking it in the oven. You’re going to be doing a layer of batter, a layer of Nutella, and repeating the whole thing. A word of caution: this batter is thick. So swirling isn’t some magical, beautiful, flawless thing. It’s a little stickier than that, but to be perfectly honest, it swirls all the same as a more liquidy batter. That said, I used a toothpick to swirl the Nutella, but you’re welcome to use something a little sturdier if that’s giving you some trouble. The swirls don’t have to be perfect. 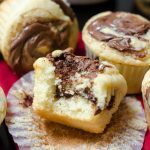 In fact, they should definitely be messy, because some spots will have a small swirl of Nutella, and others will be so full of Nutella, you’ll wonder if it’s legal to call this muffin a breakfast item. SO. GOOD. Since the muffin batter itself isn’t anything too fancy, these muffins are straight up vehicles for all things Nutella. Spread one with peanut butter! Or more Nutella! Or cream cheese! OMG. All the things. 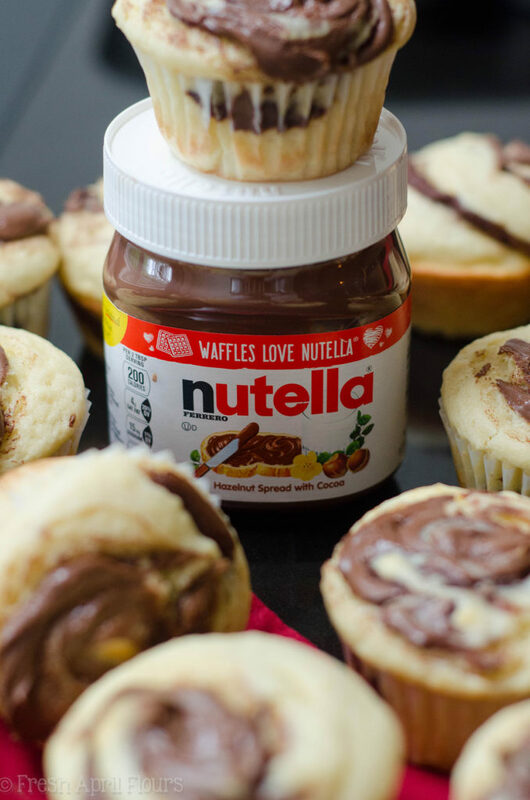 Jazz them up even more, because Nutella can do no wrong in my book. 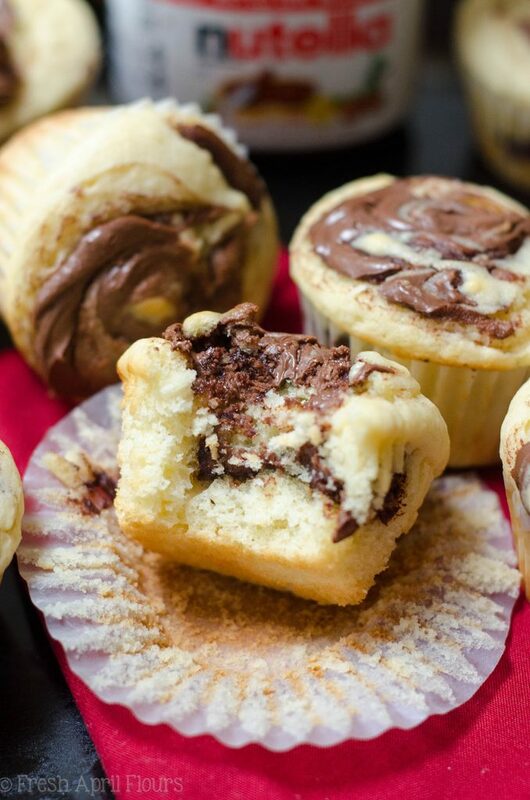 If you’re a fan of Nutella, it’s time to swirl some into your muffins. Because your muffin game will never be the same, and you’ll wish you had made some sooner. 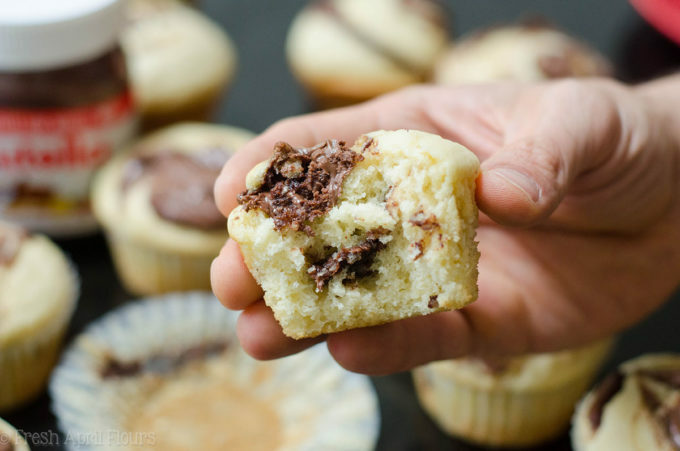 Basic buttermilk muffins get a jazzy upgrade with Nutella swirled into every bite. Preheat oven to 400ºF. Spray 15 wells of two 12-count muffin pans with non-stick spray or line the wells with cupcake liners. Set aside. In a large bowl, toss together the flour, baking powder, and salt. Set aside. In a medium size bowl, whisk together the butter and granulated sugar until smooth. Add the eggs, buttermilk, and vanilla extract and whisk again until everything is combined. Pour the wet ingredients into the dry ingredients and stir gently with a spatula until just combined. Spoon 2 Tablespoons of the batter evenly into the prepared wells. Top each mound of batter with 1 teaspoon of Nutella. Using a toothpick, swirl the Nutella into the batter. 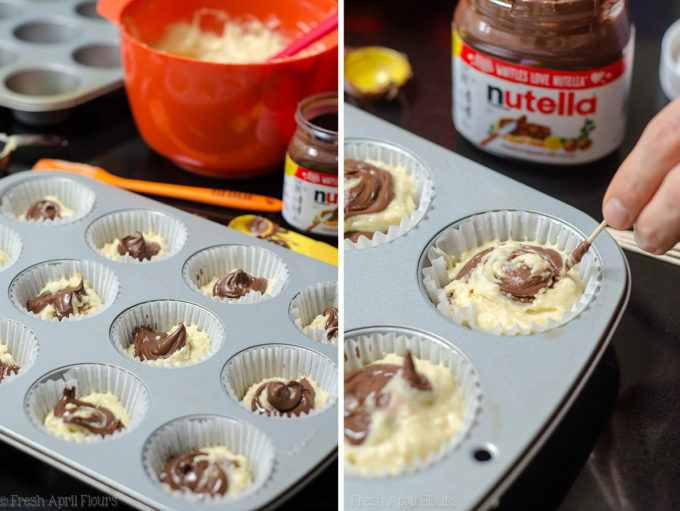 Top with another 2 Tablespoons of batter and an additional teaspoon of Nutella. Swirl again. Bake muffins for 5 minutes, then, without opening the oven door, reduce heat to 350ºF and bake for an additional 12-13 minutes until a toothpick inserted in the center comes out mostly clean. Remove from oven and allow to cool completely on a wire rack. 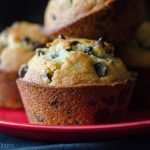 Muffins will stay fresh in an airtight container at room temperature up to 5 days. 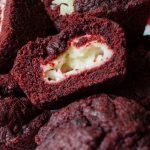 Muffins freeze well, up to 2 months. Thaw in microwave for 45-60 seconds before eating. **If you don't have buttermilk, you can easily make your own: add 1 Tablespoon of white vinegar or lemon juice to a measuring cup, then add milk (any kind) to bring the liquid level to 1 cup. Stir it around, allow to sit for 5 minutes, then use in place of buttermilk.